A local lawyer is a legal professional that is in close proximity to your residence or legal quandary. As a term, “local lawyers” is broad and informal; however, it constitutes a legal representative who handles all legal cases in adherence to the underlying locality or state’s specific laws. A Local lawyer may specialize in any type of law, so long as it pertains to the underlying jurisdiction or state. As a result of this title, these legal professionals assume great specificity; local lawyers only litigate matters that revolve around or explicitly involve state or local laws. Local lawyers, in any capacity, will demonstrate an understanding of local laws. This familiarity enables a local lawyer to effectively file claims, develop strategies and expedite the legal process for their clients. Legal issues that involve a locality’s unique should be handled by a local lawyer. Local lawyers, in all states in the U.S., will adopt a special interest in an area of law. Because each state implements unique laws and sentiments, a local lawyer in one state may practice or institute a completely different strategy or claim than a local lawyer in another state. Will I need a Local Lawyer? Your need for a local lawyer will depend on your charges. Typically, if your charges necessitate a court hearing that revolves around state or local laws, you will need to hire a local lawyer. Local lawyers represent individuals or entities that face legal problems in a state or county. The location of the incident and the laws attached to the charge are crucial when evaluating your need for a local lawyer. You will need the services of local lawyers if your case revolves around local state or local laws, was filed in a state court or locality division, or the suspected infraction occurred in a state or locality. Local lawyers, given the great depth of the term, may represent clients in any legal situation or matter. Because of this extensiveness, local lawyers may represent clients charged with felonies or civil misdemeanors and may defend or prosecute a client in a civil, trial or mediation setting. Will I need a Specialist? Because of the broadness associated with local lawyers, it is essential to review the particulars of your case, including your charge and the laws that surround the suspected infraction. 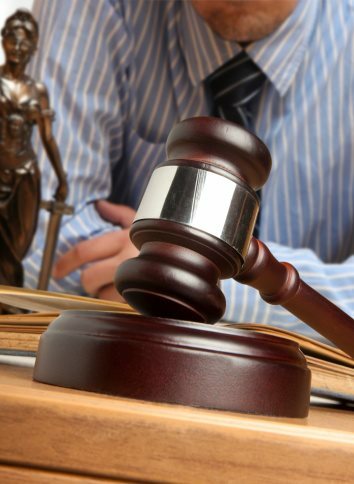 Before hiring a local lawyer you must pinpoint the laws that your case revolves around. This knowledge enables you to hire a local lawyer that specializes in your case’s specific subject matter. •	Are my charges serious? Does my expected settlement or punishment outweigh the cost of a local lawyer? •	Can my case be settled out of court through arbitration or mediation? •	Are my charges complex? Do the laws necessitate the inclusion of a local law lawyer? •	How much does it cost to hire prospective local lawyers? •	Am I in the financial position to hire a local lawyer? If you have decided to hire a local lawyer, you must compile a list of all local lawyers in your area. The search for a local lawyer should be exacting; the process is not akin to picking a name out of a hat. When conducting a search for Local lawyers, you must utilize all available resources. Once you have studied your case, you should first conduct Internet searches to find all Local lawyers who specialize in your charge’s laws or subject matter. In addition to generic Internet searches, you contact your states bar association and lawyer referral service. These services, will organize Local lawyers by the scope of law they practice and list licensing status, as well as disciplinary actions taken against the local lawyer if applicable. After you have compiled a list of specialized local lawyers in your area, you may want to consult with friends, co-workers or family to consult friends and family members who have been involved with a similar legal situation. Once you have narrowed your list of prospective local lawyers you should contact each individual to explain your case. A local lawyer may opt to hold a consultation or preliminary meeting if he or she feels that your case is worth pursuing. The availability and cost of a consultation will depend on your legal problem and the type of Local lawyer you need. •	Does the Local lawyer listen well? •	Does the Local lawyer give you confidence that your case will be handled in a cost-efficient manner? •	Can the Local lawyer explain the laws in question and how they pertain to your particular case? •	Ask the Local lawyer about the potential for a conflict of interest. •	Ask the Local lawyer for references. All of these assessments are crucial, but the most vital variable when choosing a Local lawyer, is the individual’s experience. Experience represents the Local lawyer’s grasp of the legal framework, his or her reputability and the ability to construct a sound defense or claim. •	On a contingency platform—you pay the attorney a set percentage of your secured settlement. The local lawyer does not get paid if you do not secure a settlement. •	A retainer fee, where you will pay the Local lawyer a lump-sum (typically half of their fee) before he or she begins work.